Education is crucial. 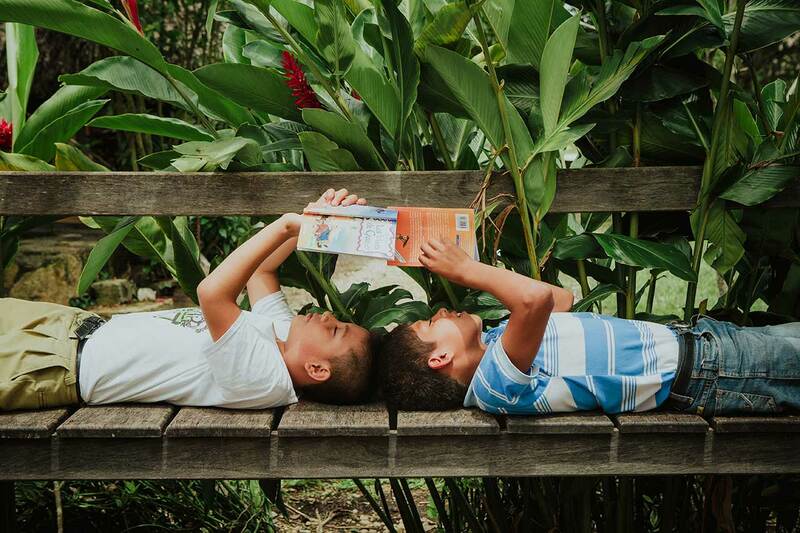 Through the Jungle school, we can break the cycle of generational poverty. 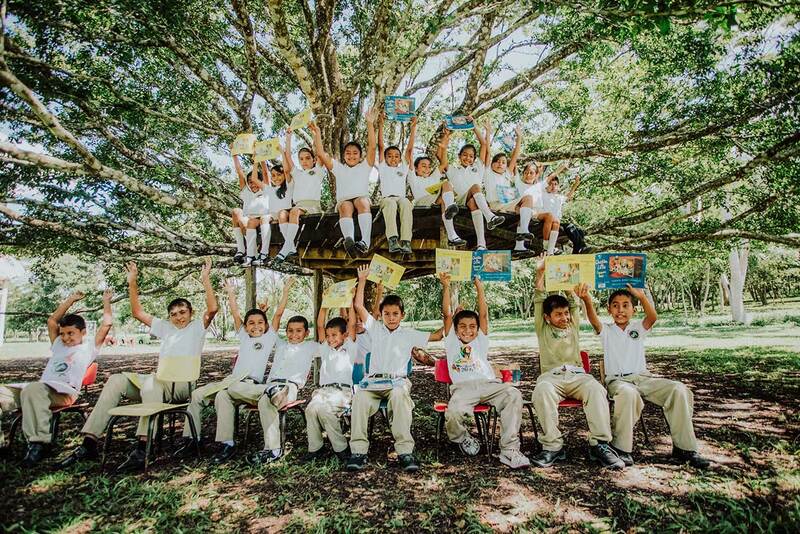 We have been a driving force in education throughout Central and South America for over 25 years and have impacted over 3 million students. 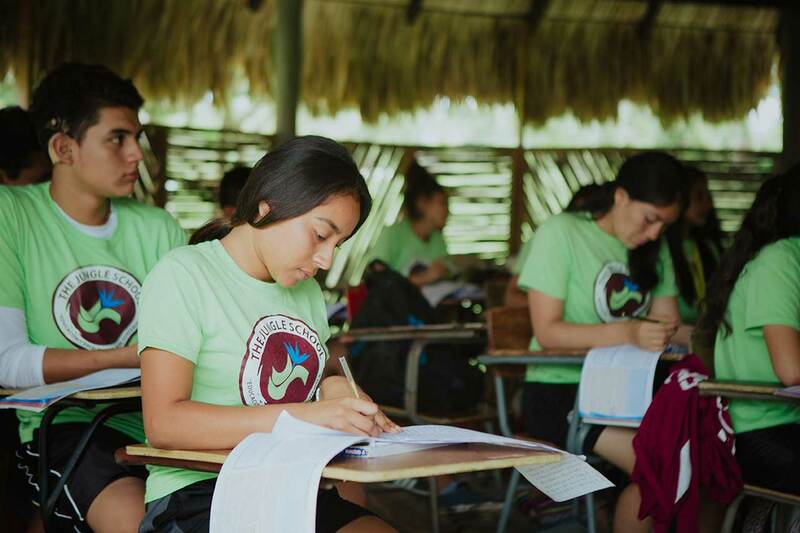 Through Biblical values-based classroom training, vocational workshops and outreach into the surrounding communities, Hearts in Action activates people to live to their true potential. 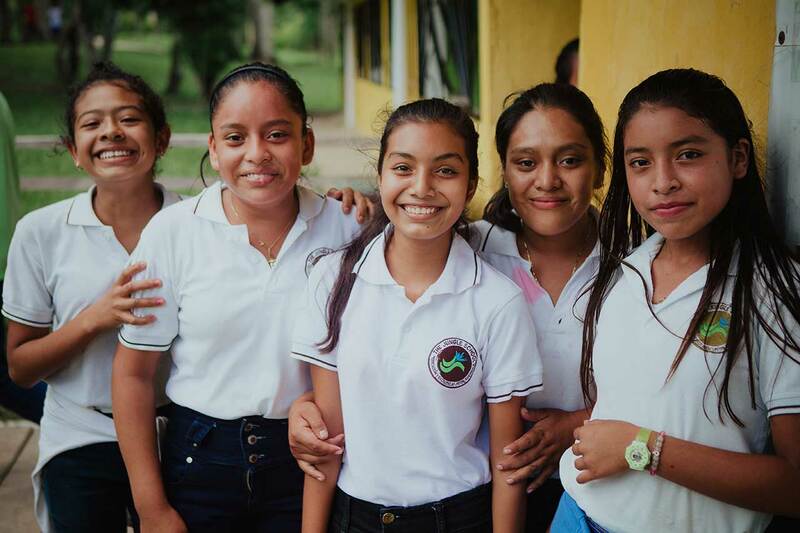 Since 1999, The Jungle School in Peten, Guatemala is growing and thriving as a pre-K, elementary, secondary and vocational school for the San Andres community. We started with 15 children and today have 400 students. 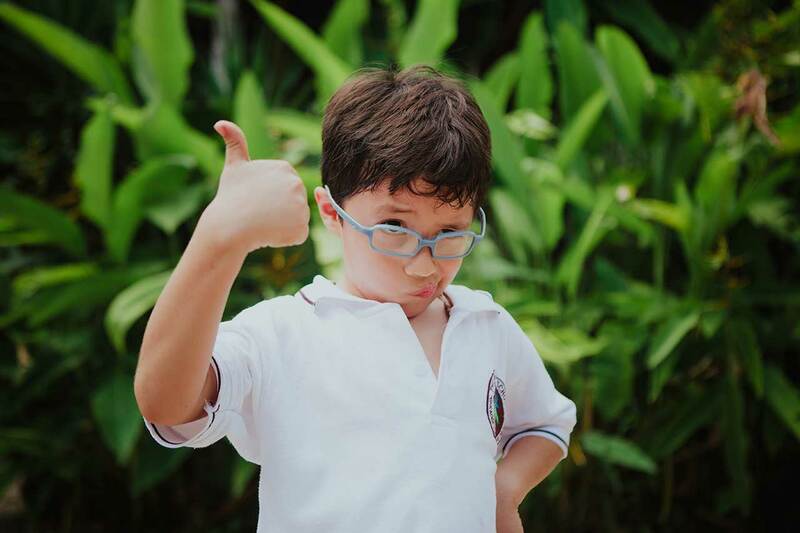 Our vision for the school is to be a leader in values education, enterprise and ecology in Guatemala. 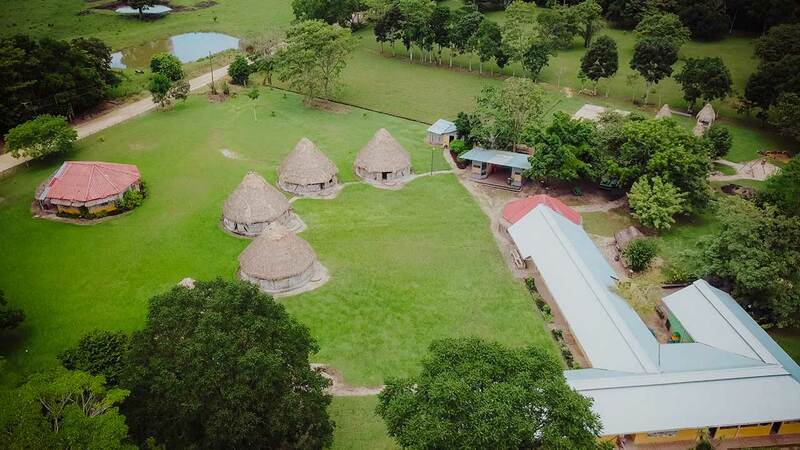 The Jungle School campus is a dynamic place offering training in the skills they need to be confident and better prepared to find meaningful employment in their villages or even abroad. The school is equipping young people to lead. 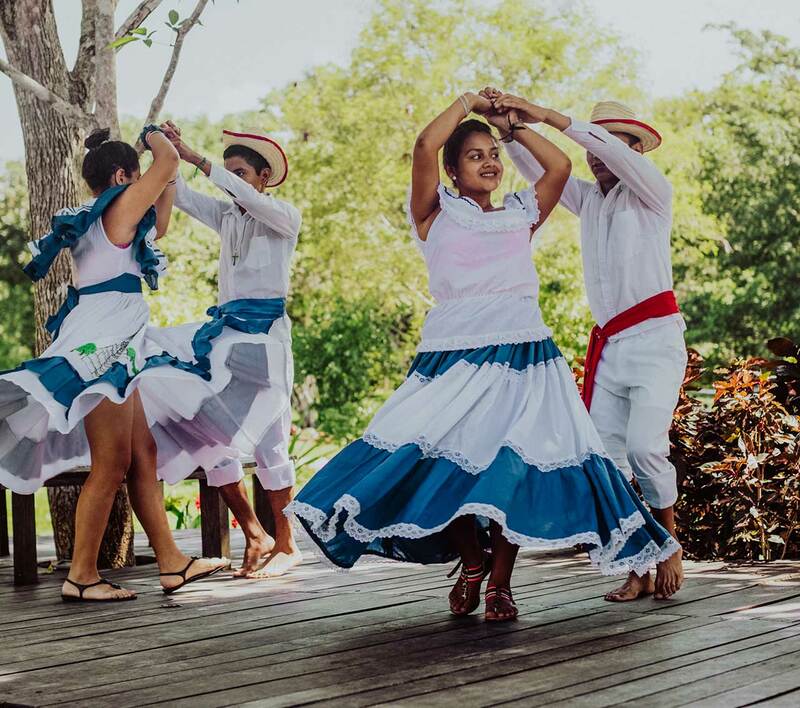 The Jungle School has both local teachers and international staff who are strengthening the basics while providing a wider and deeper scope of educational content. We are fostering creativity, critial thinking skills and a sense of purpose and belonging that leaves no child or adult behind in this remote part of the world. Math and reading skills are extremely poor in our area. Many of our children are first generation literate. The fact that they are now able to read, write and problem solve makes a huge difference to their families welfare and economy. With the illiteracy rate so high, education is the key to change! Every year we extend our services to reach more children in our communities through afternoon, neighborhood clubs. 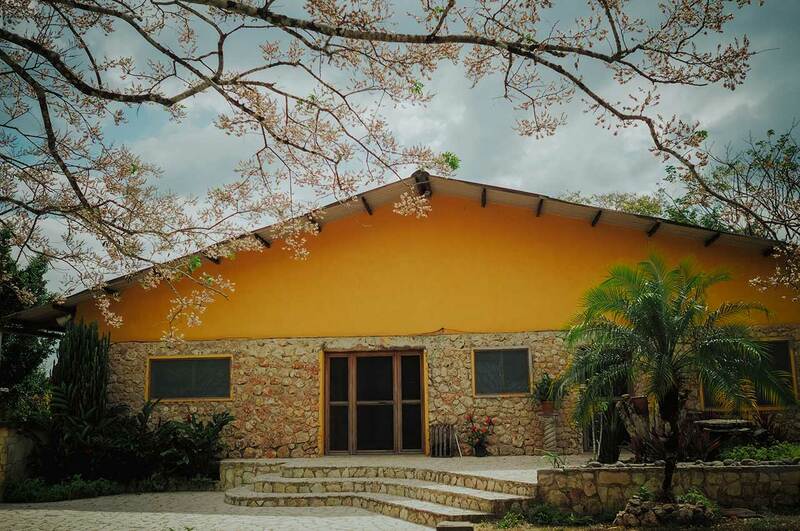 These lively gatherings under bungalows, trees or in classrooms provide educational opportunities for all who want to learn more about their Creator and the creation. Parents are as excited as their children with these clubs! The values of integrity, honesty, generosity and service that have built this work, continue to guide us. Our approach is thoughtful and unique. 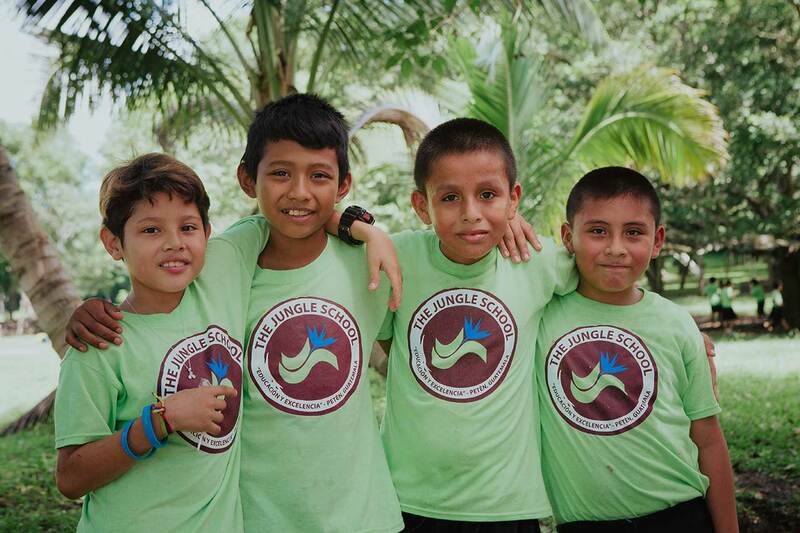 For more than 20 years, the Jungle School has educated children in the Peten Jungle by utilizing a values based approach that focuses on literacy, the environment, the Creator and integrated development. 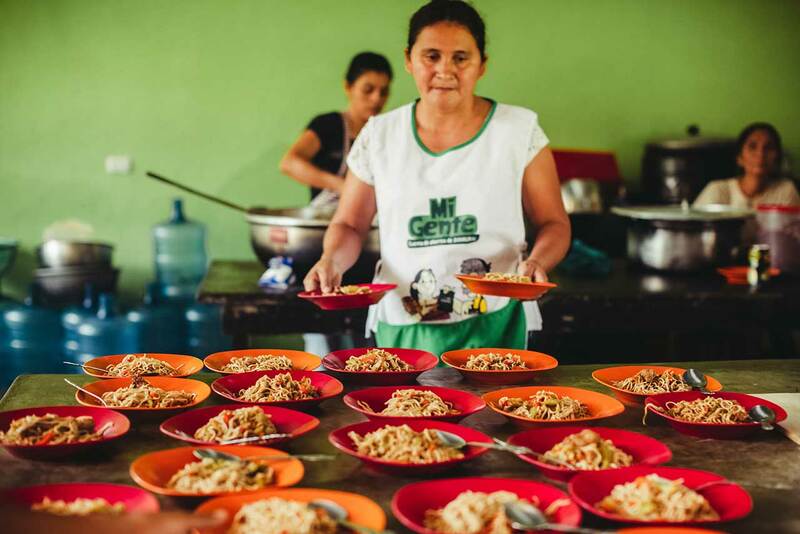 The effectiveness of this approach, coupled with organizing and empowering parents in the local community, has led to hundreds of graduates that are able to give back to their community and find jobs where they can use their skills. This is crucial for development in Central America. Edgar’s father and older brother were killed when he was a young boy. He had never studied untill age 11 when asked if he would like to join The Jungle School. Today, Edgar enjoys learning and having friends to play soccer with during recess. His teachers say he learns quickly and is excelling in his studies. He wakes up early to milk the cows before coming to school and manages the tasks of hard farm work and school work with a big smile. His family is grateful for the oppurtunities Hearts In Action provides. Edgar hopes to be a soldier someday to serve the people of his country. I live with my grandmother and younger brother in a small house with an outhouse in the village of Ixhuacut. I don´t know who my father is and my mother left when I was a toddler. I cook and clean for my grandmother and younger brother because my grandmother has Alzheimer´s now so I have to help her a lot. We have pet dogs and hens. My favorite colors are red and fuchsia and I like The Jungle School because it's really nice and we learn about God's love. I have been here since kindergarten and hope to graduate from this school. I like drawing and sewing clothes and would like to design and sell fashion. I live with my mother in a town called Nuevo San Josè. I help at home gathering firewood for my mom and cleaning around the house. I love coming to The Jungle School and playing in the school band where I'm learning to play new instruments. I'm already 18 years old, but I want to continue studying and graduate so that I can hopefully get a good job and support my mother since my father is not part of the picture. When I was younger she would do her best to put me in school so I could learn to read and write, but then would have to take me out so that she could take me with her wherever she could get work. I am so grateful to have the opportunity to study at The Jungle School. My favorite subject is English and I love studying at The Jungle School . I'm so grateful for the opportunity to study here. This is where I learned about God and met Jesus. I used to wake up while it was still dark and make my way through the jungle on horseback to school. Many people told me I was crazy for doing everything I did to study, but today, I realize it was all worth it. I'll be graduating this year and I already have a job offer. I look forward to the opportunity to help support my family and help my younger siblings have the same opportunity that I had, to come to The Jungle School. Also I want to help other youth know how much God loves them and work with them the way Hearts In Action and my sponsors did with me. 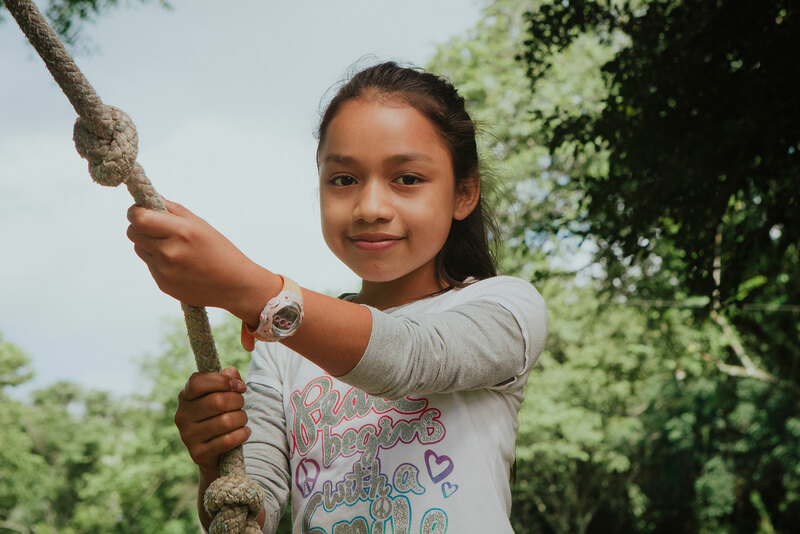 Every dollar you give to The Jungle School goes directly to helping our children and youth receive a quality education that otherwise would not be possible. 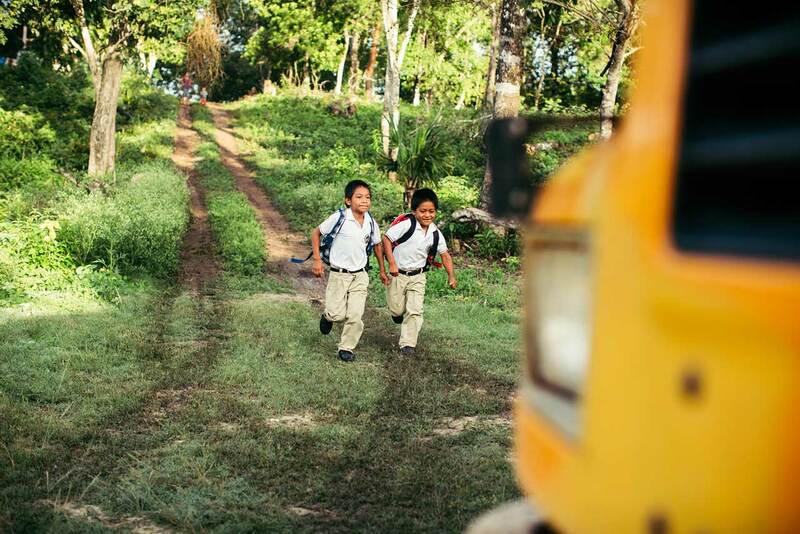 From bus transportation from far away villages along rugged dirt roads, to books, materials, nutritious meals and clean drinking water, your support is helping to break the cycle of generational poverty and provide new opportunities for these students. Due to lack of income, many families cannot afford to send their children to school with the basic essentials needed to ensure their success. We have families who struggle to provide school supplies or even a single book. This sponsorship includes clothing, shoes, school supplies, transportation and food to families who most need your help. Make a difference in a child's life today by providing these essentials so that they can focus on what's really important. 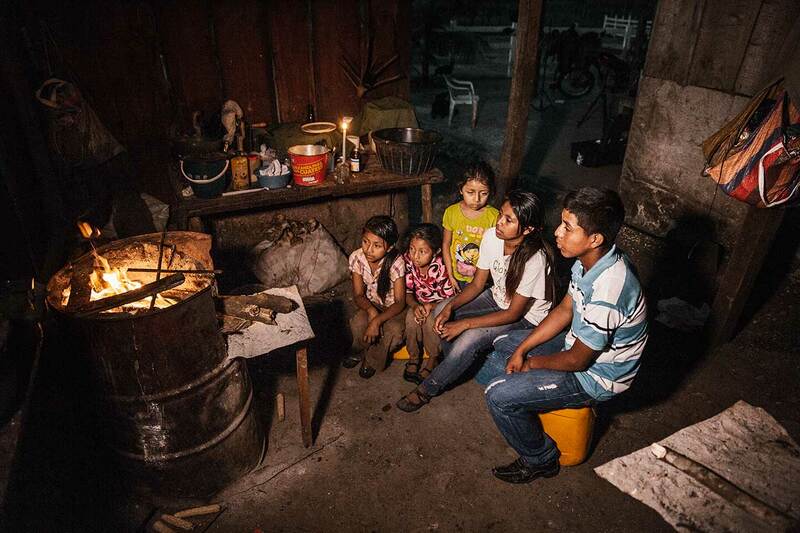 Your kindness to these Peten families will nurture and impact their children's lives forever. Teachers are the heart of our organization and the backbone of the Jungle School. Sponsoring teachers means helping us to provide seminars and meaningful salaries on scale with the effort it takes to educate children. Your giving enables us to host teacher trainings throughout the year. Hosting sessions about literacy, mathematics, science, nature and ecology, special education and creative team building increase the quality of education. Be assured your gifts are working to strengthen the school environment and build up the staff. Despite our best efforts, donations don't always cover the operational costs of running a school. With hundreds of active students there are growing demands for new spaces, enough water and constant repairs. Much is needed to maintain an inspirational and beautiful campus in the jungle! This is where your help can make a great impact. We invite you to join us. 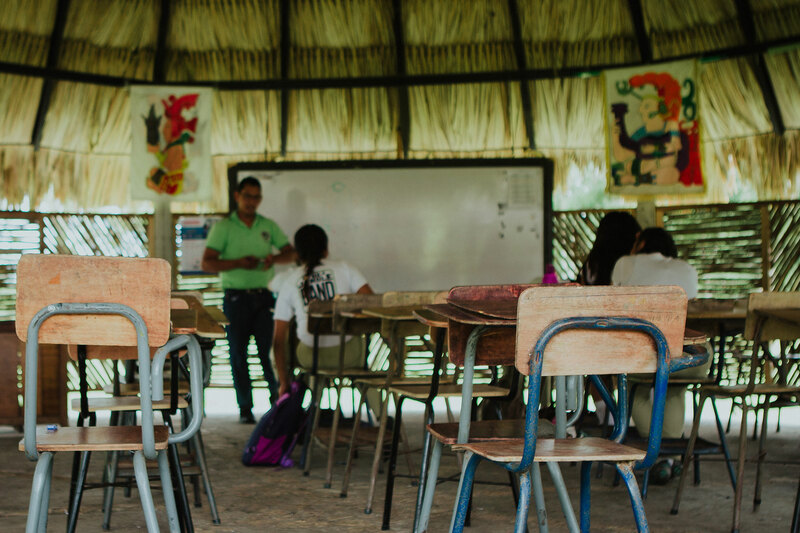 When you sponsor a classroom, you help alleviate some of this strain so we can focus on delivering the best services to the ones who need it most in our community. 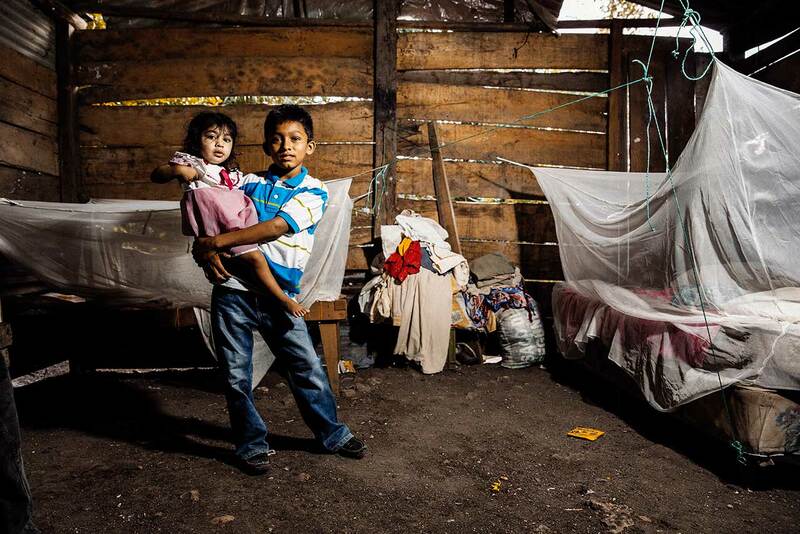 The situation for many in Guatemala is dire. Currently, HIA serves ten rural villages. 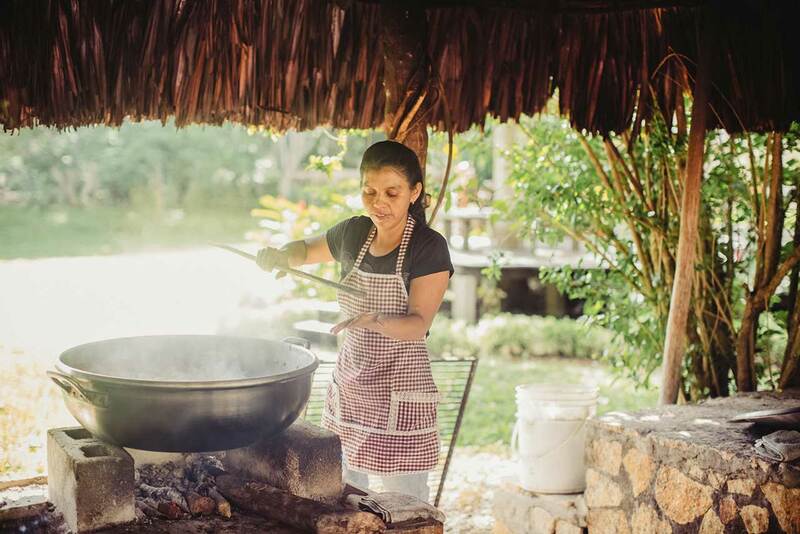 These communities are comprised of indigenous Maya and Q'eqchi people who primarily dedicate to agriculture. Families tend to be large and are very economically deprived, living hand to mouth. Extremely high illiteracy rates create a downward spiral and despair. The poverty is crushing but education reveses the negative spiral and brings hope. 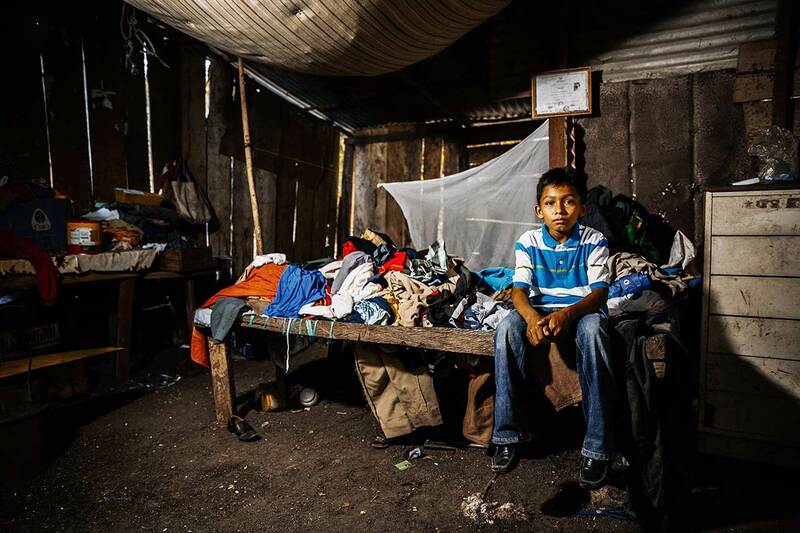 Many of these inhabitants are resettled from other parts of Guatemala or refugees who relocated after fleeing during the the violent years of the brutal Guatemalan civil war (1960-1996). These families still have very limited access to basic services like running water, electricity, health care, waste disposal and good roads. 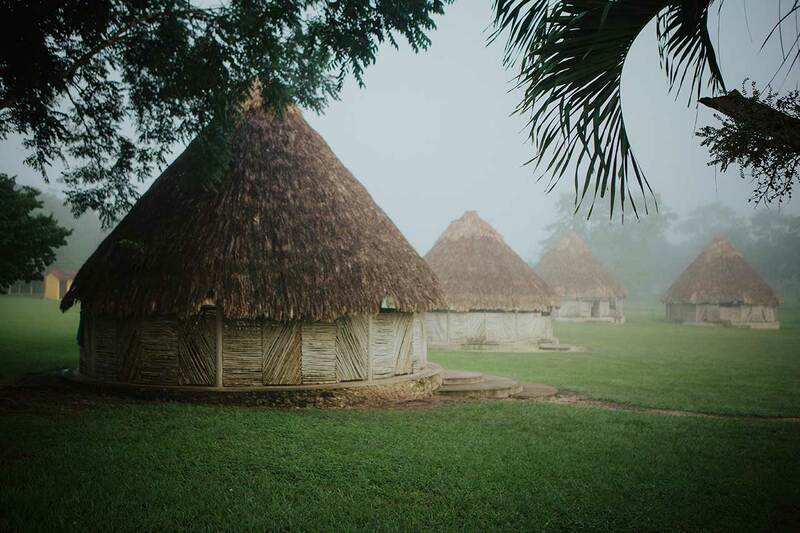 Many families live in huts with dirt floors. In many cases, rampant with bacteria and one lonely light bulb, a population with few educational or job opportunities. As a result, a large majority of the inhabitants migrate illegally to the United States or to Guatemala City to make a life for themselves, leading to broken families and a higher crime index. The light shines the brightest when it prevails over darkness. 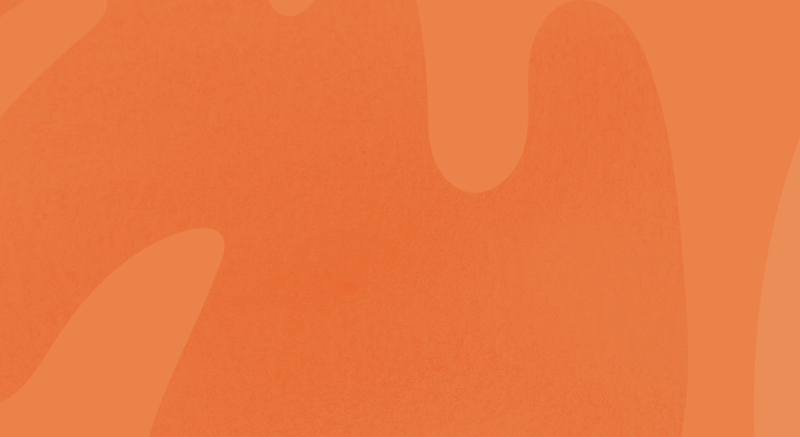 The poverty rate and low educational attainment contribute to a poor quality of life. Being unable to read or write is like living in darkness. 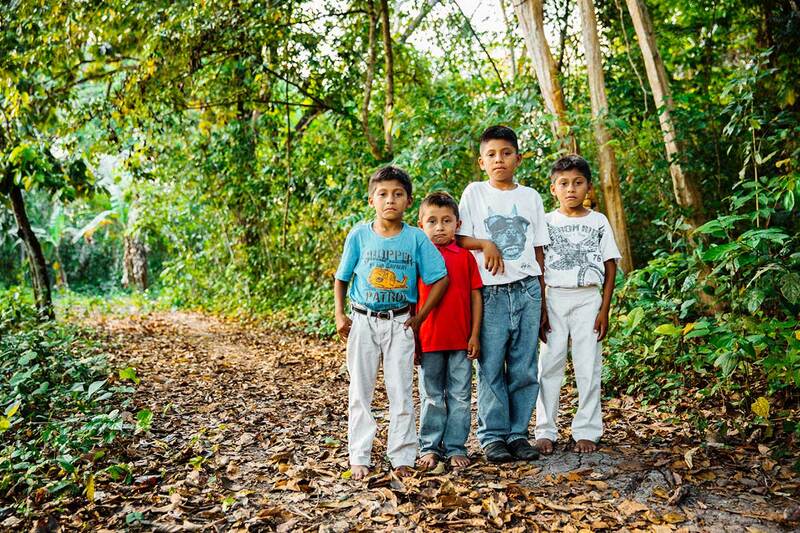 Parents depend on their children’s education at The Jungle School and their hope for a brighter day is very real. Hearts in Action can help. We believe that a strong values based education, community outreach programs and development trainings are the answer to sustainable development in our community. We have seen hundreds of students graduate and find jobs, and are seeing a decrease in the amount of youths that leave the region for work. 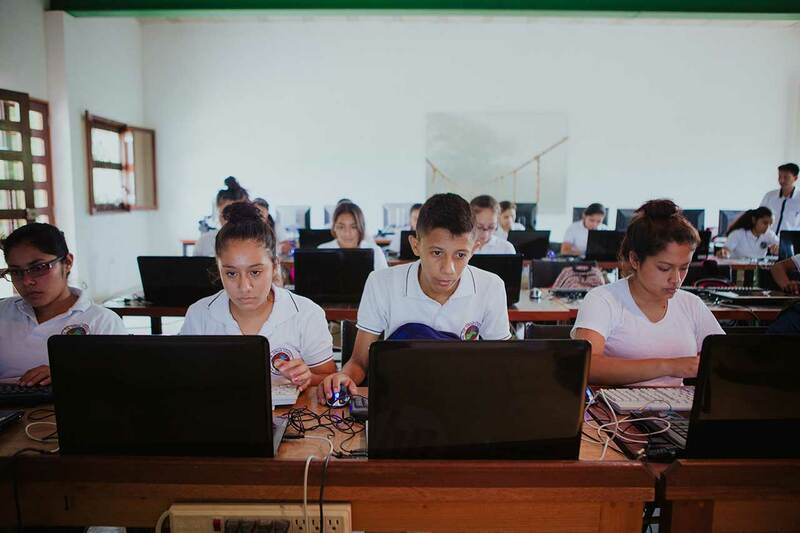 Through education, job creation and an emphasis on working hand in hand with our community to problem-solve, we are creating a brighter future that provides real world solutions for our children, their families and the greater Peten region. 500 +leaders & teachers from various countries attending HIA training sessions each year.